With their air2guide product range for air handling technology, WIKA also offers measuring solutions for clean rooms. 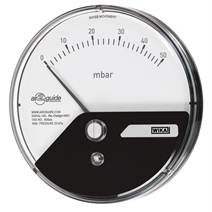 For positive and negative pressure control in this field, the model A2G-05 differential pressure gauge with a minimal insertion depth (42 mm) has been developed. 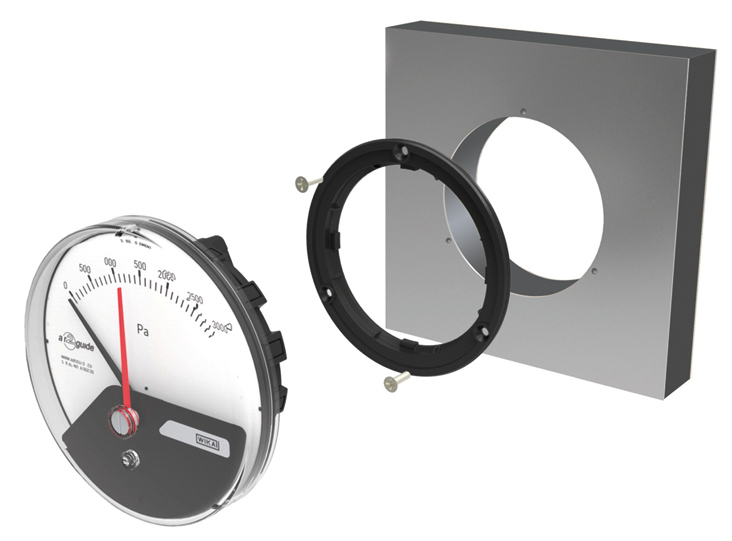 The compact measuring instrument covers pressure ranges from 0 … 50 Pa up to 0 … 12,500 Pa and, -25 … +25 Pa to -1,500 … +1,500 Pa. It is available in a nominal size of 110 mm. With its very low depth dimension, the A2G-05 is especially suitable for recessed installation in clean room walls and doors. Installation is quick and easy: A system using a bayonet fitting means users only need half the time they would with other models. Tool-free mounting and high measurement quality are the main features of all air2guide instruments. The extensive range, recently redesigned for the market, covers all the demands of ventilation and air-conditioning technology.